It looks like another heavyweight Democratic presidential contender is on the verge of entering the race. Former Vice President Joe Biden is moving closer to making an official announcement that he will be a candidate in 2020. 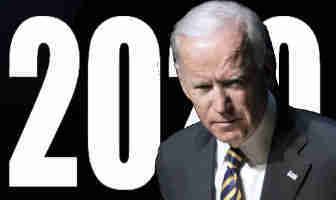 If he runs, Biden will start at the top of the polls. The latest Emerson national poll has Biden and U.S. Senator Bernie Sanders of Vermont tied at 26%, leading the large field of candidates. The 70+ year old frontrunners are followed by U.S. Senator Kamala Harris of California with 12% support and former Texas Congressman Beto O’Rourke with 11% in the poll of Democratic primary voters. As Biden inches closer to an announcement, other curious rumors have been floated. Since he is 76 years-old, it was reported through anonymous sources that Biden was considering a pledge to serve only one term as President. It was also leaked that Biden had promised the position of his vice-presidential running mate to former Georgia gubernatorial candidate Stacey Abrams, an African American female, who is three decades younger. This trial balloon was later dismissed as a “false” rumor by one of his aides.